This week, I'm continuing with the butterfly theme. 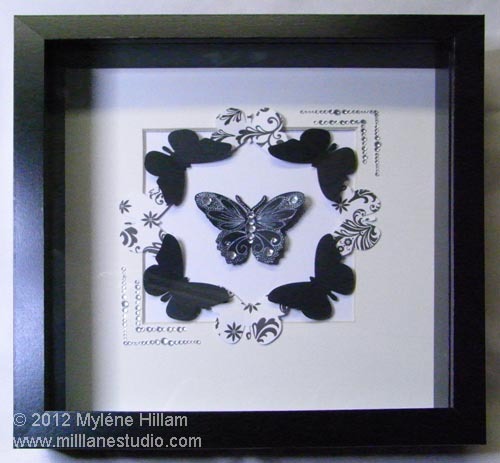 Here's the third of the four butterfly shadow box frames I've made which showcase the elegant simplicity of black and white. Three of these boxes will be displayed together on the wall so I'm trying to keep each one quite simple - their impact will come from being part of a larger group. For this one I've used a central butterfly surrounded by a circle of contrasting black and damask butterflies. I love the soft look the white doodling gives to the black butterfly. 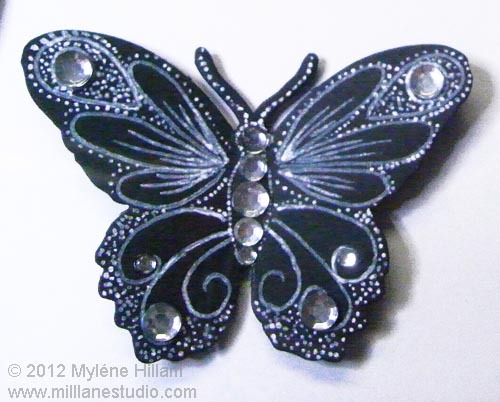 With all the little dots, it reminds me of marcasite, especially with a few crystals to highlight the design. They give the butterfly that aged, vintage look. Supplies for this shadow box: Ikea Ribba shadow box frame; Inkssentials white opaque pen; Cuttlebug Combo Butterflies; Sizzix Birds & Butterflies by Eileen Hull; Kaiser Craft crystals; black card stock and damask tissue paper glued to white card stock. Just one more shadow box to go in this series. 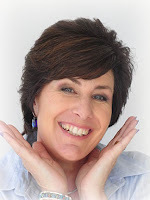 Follow this link to see how it turned out.